1. What PVC foam boards can do? They are wildly used in furniture making,decoration,advertisement,construction and other fields. 2. What charateristics do PVC foam boards have? 3. What we can do? 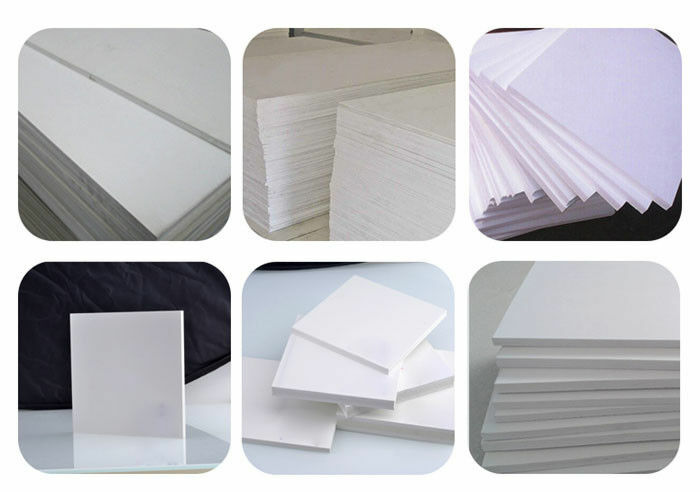 We own Three production lines of foam boards and one production line of co-extrusion foam boards at the moment.And we can produce 2000tons PVC foam boards in one month. 2) Sound insulation, heat insulation,noise absorption,heat preservation and anti-corrosion. 4) Easy to clean and maintain. 1) Advertising: exhibition display, digital printing, silk screen printing, computer lettering,sign board, light box,etc.